All of us feel depressed from time to time but how can we tell the difference between the blues, a mild depression and a depressive episode that requires outside help? To answer this question, we first need to come to a basic understanding of what depression is. Depression can either consist of a collection of certain symptoms or a concentration of a few symptoms. Some of the more common symptoms of depression include: Frequent crying or an overwhelming feeling of sadness, fatigue or loss of energy, feelings of hopelessness or worthlessness, self-loathing, changes in sleeping or eating patterns, loss of pleasure in things that used to give you pleasure, anxiety, anger, difficulty concentrating, a lack of interest in things that used to interest you and even thoughts of suicide. The symptoms of the blues usually only lasts a few days. 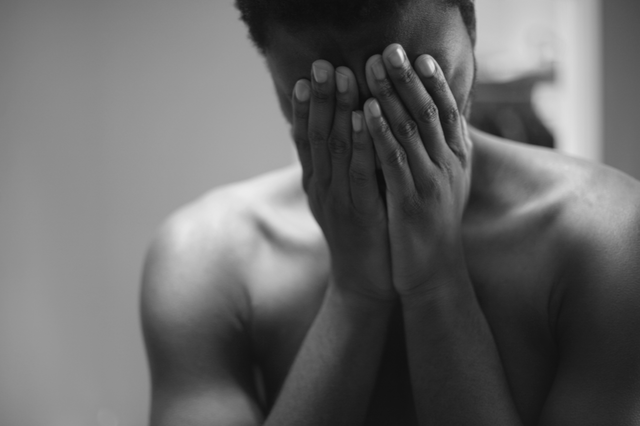 With a mild depression there are usually breaks in the depressive feelings and oftentimes, the depression can be linked to a specific incident. In a depressive episode, the duration is much longer with rarely any respite from the symptoms. Chances are that if you need to seek outside help, you are either experiencing a severe mild depression or a full blown depressive episode. So, the severity of the depression is not necessarily based on the symptoms a person is experiencing but rather the duration and the severity of the symptoms. 1. You start to miss days from work or your depressive symptoms are preventing you from doing your job. 2. You are no longer getting any enjoyment from the things that you used to look forward to and enjoyed doing. 3. Others in your life have expressed concern and have said they are worried about you. 4. You find it very difficult to get up and out of bed in the morning. 5. You are feeling sad and hopeless almost every day for most of the day. 6. You are experiencing muscle aches and pains or digestive symptoms with no known cause. 7. You have persistent feelings of harming yourself or others. 8. Your symptoms of depression lasts two weeks or more with no respite. If you have found yourself in these signs and symptoms, be proactive and seek help. Most people wait months or even years before they seek out help for depression which is a big mistake. The longer a person waits to address these signs and symptoms, the harder it will be rectify them. These feelings do change and you can absolutely feel happy in your life again.